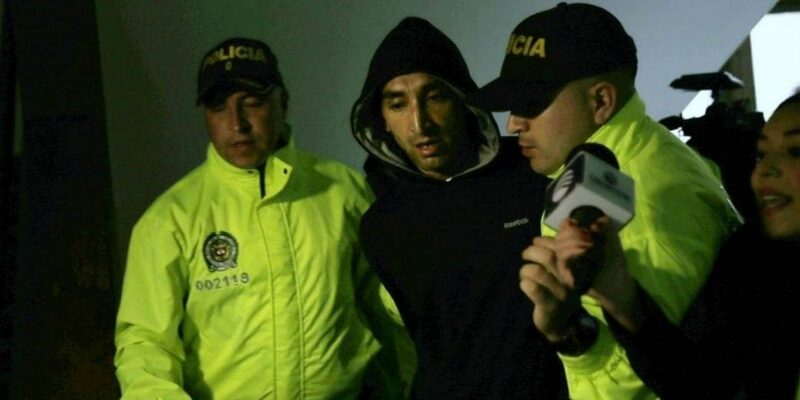 A Bogota resident who was arrested for his alleged participation in a terrorist attack in Bogota on Thursday told media and the court he is innocent. Reporter: What can you tell the victims? Suspect: That I am with them because I haven’t done anything. According to Carvajal, he has an alibi. This was confirmed by his daughter, who told Noticias Uno he was with her at the time of the attack. The prosecution claimed the suspect abandoned the car that drove 80 kilograms of explosives into the General Santander police academy on Thursday morning and that Carvajal admitted his complicity in a wiretapped phone call. In a tweet, the prosecution said to have shown the judge the audio and testimonies of witnesses who allegedly said Carvajal was in the garage where the vehicle used for the terrorist was parked ahead of the attack. The evidence released to the media were images of an overall, a cell phone and a National Army combat manual. “Until the last of those responsible will pay. There will be no impunity,” said controversial chief prosecutor Nestor Humberto Martinez. The Prosecutor General, who is facing multiple corruption and abuse of power accusations, ordered the arrest of multiple suspects following a bomb attack that killed three people in a Bogota shopping mall in 2017. The suspects were released a year later after the prosecution failed to demonstrate their complicity. It is still unclear who carried out the Andino Mall attack. Following Thursday’s terrorist attack, Martinez appears to have withheld evidence that discredits the authorities’ claim an ELN guerrilla forcibly drove a car with explosives onto the campus. Images from security cameras obtained by Noticias Uno and Red Mas Noticias indicate that the car entered the police academy without raising any alarm until after the explosion that killed the cadets and allegedly the bomber. Colombian President Ivan Duque used the terrorist attack as a pretext to end peace talks with the ELN, a rebel group that took up arms in 1964. The formal statement in which the prosecution accused Carvajal and the ELN of complicity in the attack has since been deleted from the prosecution’s Twitter account.